Heretofore, when BlueMelon users wanted to re-assign a photo into a different album, they were required to either use the one-photo-at-a-time management tool or use one of the advanced uploaders (without actually having to re-upload the photos). Hereafter, they may achieve the same task in using much more convenient tool, the Bulk Organizer. Photos can be both added and moved to an album. 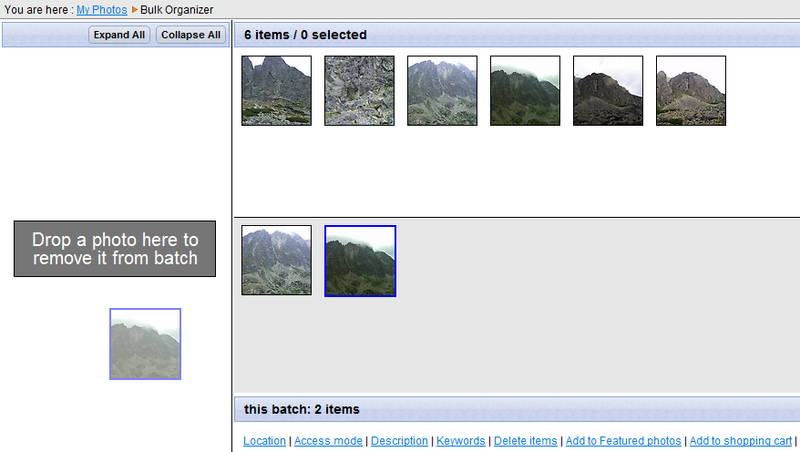 This tool makes it also possible to change the selected photos' attributes without having to do so for each photo individually. The attributes that can be altered are : descriptions, access modes, keywords, geo-location. It can also be used to delete photos, add photos into the Featured Photos list, and order prints. From now on, this is the only interface which makes it possible for you to access your unsorted photos (photos not assigned to any album).